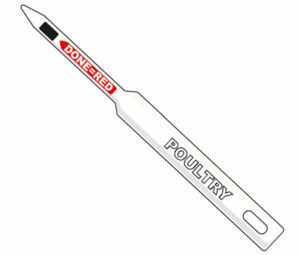 Cooking foods to a temperature that will kill any harmful bacteria such as Campylobacter is important to prevent illness. 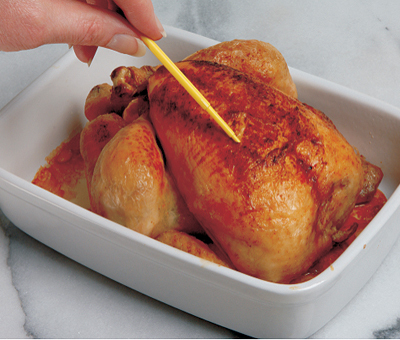 This particularly applies to cooking poultry to the correct safe eating temperature. 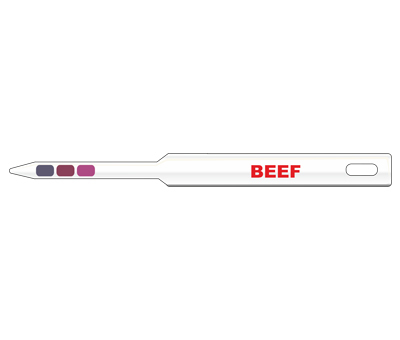 These unique food grade polycarbonate Cookcheck® cook sensors allow you to check that food is properly cooked to temperatures that kill harmful bacteria. 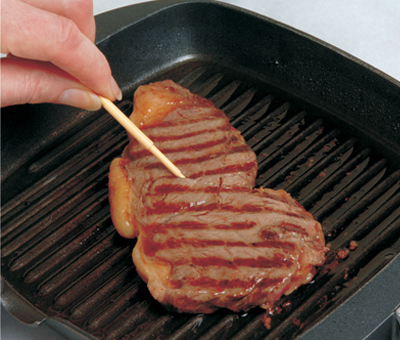 Use with all conventional cooking methods, microwaves and barbeques. 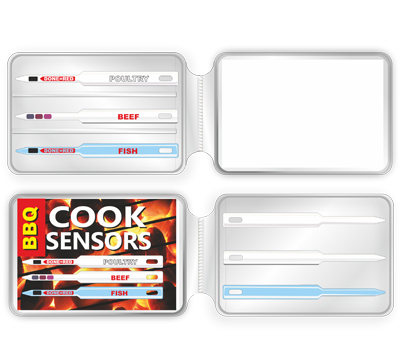 Simply insert the special sensor tip into the cooking food and a strong colour change will show when the food is “cooked” and safe to eat. 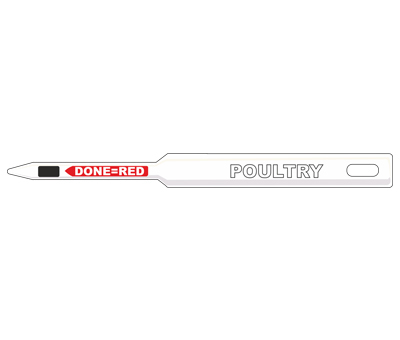 For Poultry, Steaks, Burgers, Sausages, Lamb, Pork and Fish. Ideal for BBQ’s.